How did you hear about Victoria-F (VF)? 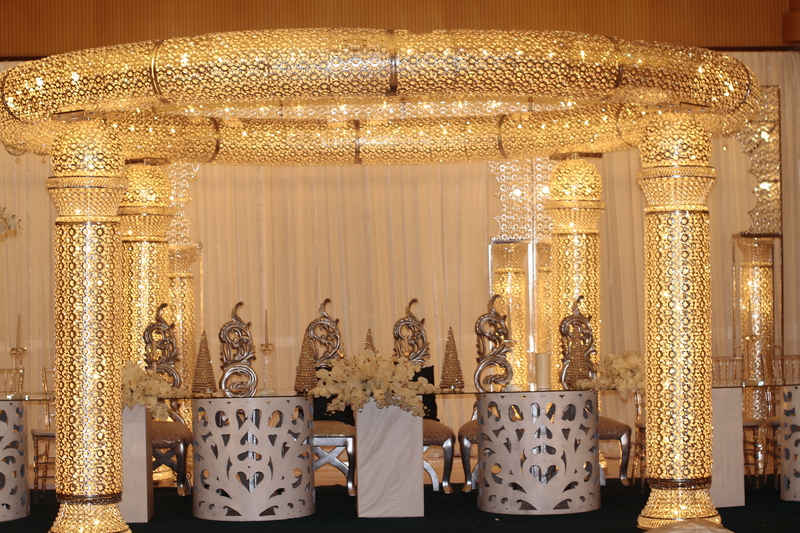 A family member had attended a wedding and loved the décor. Turned out the space was decorated by Victoria-F. As I was planning for my wedding, the business came highly recommended. What services does VF provide? VF specializes in décor for events. They are mostly known for their exquisite mandaps. What were your initial expectations of VF? I first visited VF and was pretty impressed with their elaborate pieces and mandaps, so I decided to utilize their services for my wedding. Describe your experience with VF. VF in my experience was very unprofessional and the service I received wasn’t great. I had multiple meetings with VF prior to my wedding day, and said meetings went well. So I was surprised that no one mentioned additional fees to transport the decorations to the event hall until a few days to the wedding! It started with a normal phone call and during the course of the conversation, I was asked when I’ll be picking up the décor. I was so shocked! Especially as I’d assumed that the décor would be delivered…and at no additional cost (otherwise someone would have mentioned this earlier!!!). Anyway, VF then informed me that I’d need to pay additional fees for the décor to be transported. There were other additional fees that popped up couple days before the wedding as well. Expensive. Think in the millions of naira. On a scale of 1 – 10, what would you rate VF and why? 4/10. VF’s items are really nice but I wouldn’t recommend their services. The last thing a bride needs is last minute wedding stress, and in my experience, VF caused me way more stress than was necessary. Be upfront about your fees. If there are areas you believe could lead to additional charges, please bring this to your customers’ attention as soon as possible. Mmm and these people I hear they are very expensive. Such a shame they add last minute charges. Shame! !